Save a Life – Be part of the chain! CBMDP – “Save a Life” celebrated the WMDD together with “ESEKYZ” ’s volunteer team by organizing an event informing public about bone marrow donation to “Thank you donor” during 83rd THESSALONIKI INTERNATIONAL FAIR. 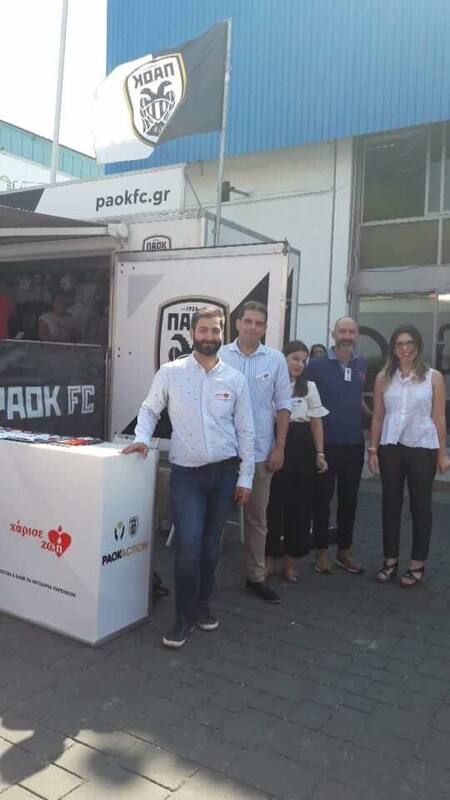 The event was supported by “PAOKACTION” and its football team.